In my opinion, park recreation means a huge place, either outdoor or indoor, where the whole family can relax and enjoy themselves. We even can learn while playing there. Thus, it could be amusement and theme parks, botanical gardens, or national parks. It is also known as Beautiful Indonesia Miniature Park in english. Initially, the mission of this park is to introduce various cultures and tribes that form Indonesia. Presently, Taman Mini Indonesia Indah has evolved into education park recreation. In addition to the traditional cultures, now TMII also exhibits other aspects of Indonesian, such as science, flora and fauna. Hence, it has many gardens and parks, museums, theatres, religious buildings, as well as recreation facilities. Click here to read more about Taman Mini Indonesia Indah. Taman Safari Indonesia is located in Cisarua, Puncak, the most popular family vacation destination in Sunda. Here we can see wild animals, feed some of them, take pictures with the baby animals, have fun in the amusement park or take a ride on a pony, a camel, or an elephant! Click here to read more about Taman Safari Indonesia. Zoo is the most favorite park recreation destination, even the opening of Safari Park can’t rival that. It simply because the location of the zoo is in the city, hence the access is easier and closer, plus the entrance ticket is very affordable. Ragunan Zoo is the name of the zoo in Jakarta. It is more than just a zoo, since it has many lawns and trees perfect for a picnic. The most interesting section in Ragunan Zoo is the Schmutzer Primate Center. Click here to read more on Ragunan Zoo. Bandung Zoo, at Taman Sari street, Bandung. It is a much smaller zoo than Ragunan and not well maintained. Nevertheless, it is always crowded during Sundays and national holiday. Jungleland is a new adventure theme park in Sentul, Bogor. 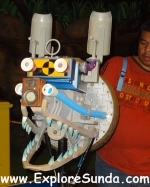 Currently, the main attractions are Robot Zoo and Carnivalia Park. Robot Zoo exhibits several robots showing us animal movements. We also can experiment simple science here. 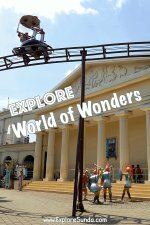 We also can have fun going on some rides and watching live shows in Carnivalia Park. Click here to read more about Jungleland. 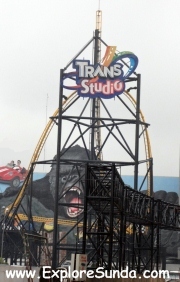 Trans Studio is the only indoor theme park in Bandung. It is an amusement park with lots of rides and some live shows. 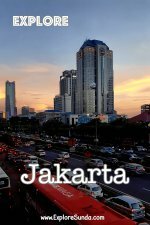 The location is at Gatot Soebroto street, in the same area with Trans Studio Mall, Trans Luxury Hotel and Ibis Hotel. Kidzania is located at Pacific Place mall, in Jakarta business district. Here children can try to be the professions they want, such as fireman, chef, pilot, scientists, etc. They will earn tokens after completing the work and they can spend them to buy things, including meals. It is a beautiful park located right in the heart of Bogor. 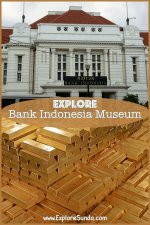 It is also in the same location with Bogor Presidential Palace and Zoology Museum. 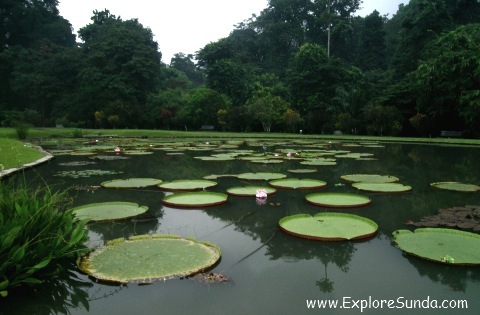 Click here to read more about Bogor Botanical Garden. Cibodas botanical garden is literally a huge park recreation. It is located in Cipanas, Puncak. It is also the entrance to climb Gede Pangrango mountain (Gede is a sundanese word for big). These two botanical gardens are well maintained and you can learn many Indonesian trees and plants here. They have my highest recommendation for picnic and relax except during Sundays and national holidays when they are too crowded. Insect World Museum at Taman Mini Indonesia Indah. The main display here is the varieties of preserved insects (including butterflies) in the herbarium. We also can learn from which part of Indonesia they come from. After that we can go to the small butterfly garden at the back of the museum. Cihanjuang Butterfly Garden. This is the best butterfly garden in Sunda land. There are many butterflies here, especially in the morning. It also has a caterpillar nursery where they breed the butterflies. Cilember Butterfly Garden. It is inside Curug Cilember park. It has a big dome for butterflies, hopefully they utilise it for optimum result. Read more on Cilember Butterfly Garden. Taman Bunga Nusantara is a flower garden located in Cipanas, Puncak. The cool weather is suitable for the flowers to bloom. There are some theme gardens here, such as European, Mediteranian and Japanese gardens. Taman Buah Mekarsari is a fruit park recreation, where we are introduced to the many varieties of local fruits, such as salak, star fruit, and honeydew. We join the tour circling the park, looking at the fruit plantations. We can cut the honeydew we want to buy directly from the plant! Ujung Kulon. The most famous national park in Sunda. It is the habitat of the endangered rhino. The location is at the southwestern tip of Java island. Gede Pangrango. The most popular mountain for hiking, where we can find Edelweiss and it is a home for Javanese Eagle. There are two entrances to Gede Pangrango national park. One gate through Selabintana park in Sukabumi. The other entrance is at the top end of Cibodas botanical garden in Cipanas. There is a place on the foot of Gede Pangrango mountain where I find interesting. The name of the area is Bodogol at Lido, Sukabumi. We can walk through the canopy trail, functioned as a bridge between tall trees, go hiking to waterfalls and see fire flies at night. 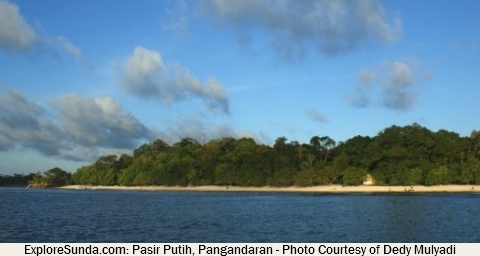 Pananjung Nature Reserve at Pangandaran beach. This is the habitat for bull, deer and monkeys. We also can go snorkeling near the white sandy beach inside this nature reserve. The archipelago of Thousand Island. They are small islands northern Jakarta.